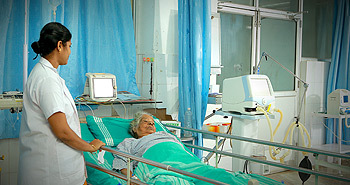 Established in the year 2002, department of pharmacology and therapeutics initiated its teaching activities in May 2004. To maintain competence in academics and research throughout their professional life. Department is conducting innovative researches for better understanding of basic principles of pharmacology. Research in Pharmacovigilence and ADR monitoring is done by trained faculty. Clinical Pharmacology studies are actively being pursued by the faculty members. Future projects on herbal research and drug screening. The quality programmes enable the students to excel in their examinations. More than 90 percent pass rate in University examinations in this subject HOD of the department has delivered several guest lectures and is a resource person in CME programmes and conferences. Faculties are trained through Teachers Training programmes, Faculty Development workshops, Curriculum Reform workshops. Made paper presentations in National and Regional conferences Research publications in national and international journals: HOD is the member secretary of Human Ethics Committee of this Institution and Chairman of Human Ethics Committee at Government Medical College, Trivandrum. 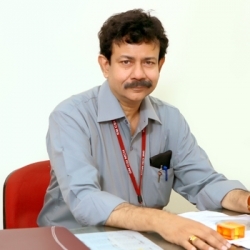 HoD is also the Member – Board of studies KUHS and member board of studies (PG) of Kerala University and chairman board of studies (UG) of Kerala University and convener of Pharmacovigilance committee. HoD is also the faculty in charge of Central Library of this Institution. CME on ‘Good Clinical Practice’ was conducted on 8th December 2016 Department has conducted workshop on research methodology and ethical issues on biomedical research. Organized a CME programme on coagulation, DIC and sepsis syndrome in association with Physiology department. A Pharmacovigilance committee has been organized with HOD as the convener of the committee. Actively participated in National, Regional, State level conferences. Clinical Pharmacology training in Rational therapeutics, Essential drugs, clinical trials, Adverse drug reaction and Pharmacovigilence, prescription writing, Critical analysis of prescription, drug promotion literature and fixed drug combinations. Interpretation of Laboratory data, Pharmacokinetic charts, Pharmacodynamic charts, experimental pharmacology charts, Awareness of Ethics committees – model informed consent form etc. Students are trained in Pharmacovigilance programme of India with ADR reporting in standard form. Periodic evaluation of students is done by monthly tests and sessional exams. A museum depicting History of Pharmacology, Nobel Laureates, sources of drugs, Routes of administration of drugs, basic mechanism of drug action, and adverse effects, more than 500 drug specimens systematically arranged and detailed information about drugs. Departmental Library with more than hundred indispensible books in pharmacology and allied subjects. Online journals (national and international) available at Central Library. State of the art equipments like Digital spectrophometer, Digital photoactometer, Filter photo colorimeter, centrifuges, Analgesiometer, pole climbing apparatus, incubator, tablet disintegration machine, Vortex mixer and many more . A comparative study of self-medication among medical, paramedical in Dr. SMCSI Medical College and non-medical students in Scott Christian College. Effect of silymarin against methyl-phenyl-tetrahydropyridine (MPTP) induced Parkinson’s disease in mice. Effect of silymarin on diet induced hypercholestrolemic rats. Pharmacoeconomic analysis of drugs used for Bronchial asthma in India. To set up a Quality control lab. An in-house periodic journal with the latest events in the field .